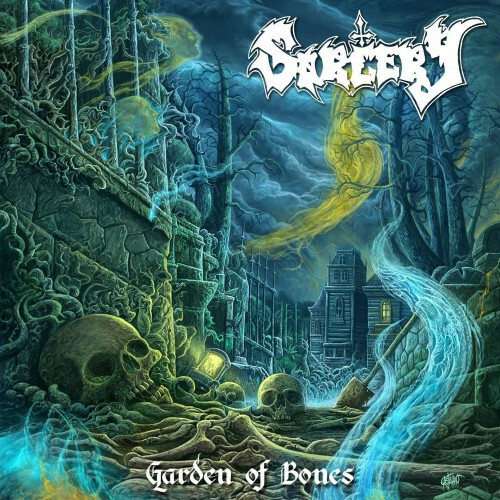 I discovered yesterday that Xtreem Music will be releasing a new Sorcery album named Garden of Bones on May 15. I’m as excited as a springbok being chased by a cheetah. The last Sorcery album, 2013’s Arrival At Six, was one of those rare comebacks (following the band’s first album by a mere 22 years) that worked to perfection, and it was the source of a song (“Warbringer”) that made our list of the year’s Most Infectious Extreme Metal Songs. It also featured killer cover art by Daniel Devilish. Juanjo Castellano is responsible for the new cover art, and it’s also killer (as you can see). And so far, the music is, too. Below you can check out the first single from the new release that appeared yesterday, a track called “Holy Ground”. If the song’s main, pulsing riff and piston-like drum rhythm don’t get your head moving right away, I’ll be surprised. And the pealing chorus melody is very appealing, too. An immediate candidate for this year’s Most Infectious list. 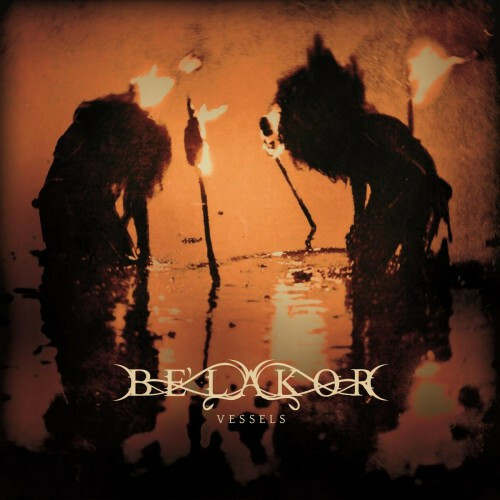 Like Sorcery, Be’lakor is another band whose last album (2012’s Of Breath and Bone) was the source of a track on that year’s Most Infectious list. And since I don’t have anything new to share at the moment, I’m going to stick it down below. It has lost none of its appeal in the years that have passed. The last time I wrote about this harrowing band from Montreal, Québec, was in a review last November of their two-track demo Dialogue of Broken Stars. Yesterday, Profound Lore announced details about the band’s debut album and also provided a track stream. The name of the album is Hallelujah! and it includes wonderful cover art by Denis Forkas Kostromitin, which some of you may recognize since I used it as one of the daily art posts on our Facebook page when the artist revealed it. The album will be released on CD, vinyl, and digitally on June 3. The new song is “Temple Without Form”. It accomplishes two things that Gevurah have proven before they know how to do: deliver an adrenalizing storm of black chaos, with radioactive riffing, compelling drum rhythms, and inflamed vocal passion; and spin webs of unearthly melody that are both disturbingly ominous and magnetic. Since the appearance of that EP, the band have been embraced by Unique Leader Records, who will be releasing their debut album Initializing Irreversible Process on June 17. As he did on the EP, Hideous Divinity’s Enrico H. Di Lorenzo will be providing guest vocals on one of the tracks, and the album also features Hideous Divinity’s Stefano HD Franceschini as guest bass player. Plus, there’s cover art by Pär Olofsson. Yesterday the band released a teaser reel on YouTube that includes snippets of all the songs on the album. And from those brief glimpses of the songs, this sounds like an album we’ll be jumping all over at the earliest opportunity. It seems to carry forward the qualities DGR wrote about previously — the sense of witnessing a swarm of hyper-accelerated sentient machines busily constructing an edifice in space that bodes ill for our existence. Unlike the first three bands featured in this post, CrystalMoors are a band whose music I had never heard until a few days ago. 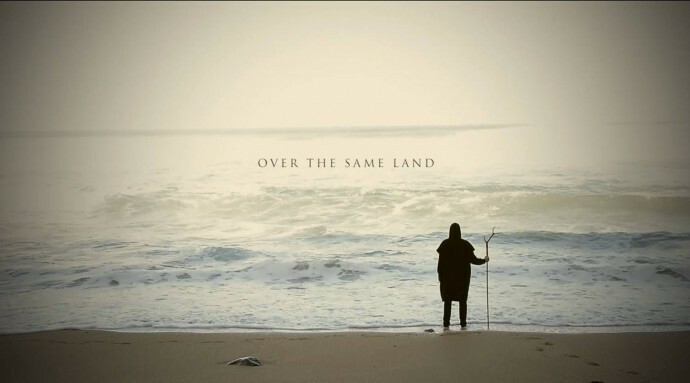 They’re from Spain, and a few days ago they released a video for a new song called “Over the Same Lands” that will appear on their forthcoming third album, a double-CD named The Mountain Will Forgive Us coming later this year from Casus Belli Musica. The first of the two CDs, separately titled The Sap That Feeds Us, will be new material, and the second one, La Montaña, will consist of unplugged versions of some old and new songs played with folk instruments. I was carried away by “Over the Same Lands”. The beating heart of this high-energy song is a gripping riff that seizes attention right from the start, and there’s a lot more to like about the track — from the galloping, warlike charge that comes later, to the pagan/folk chorus melody, to the mix of deep roars, high shrieks, and clean vocals. The physical setting of the video is also quite beautiful. I learned of this Finnish band through our Norwegian contributor Gorger in the very first of his Beneath the NCS Radar posts (here), spotlighting bands we have managed to overlook. At that time, in September 2014, he was praising the band’s album Ikuinen Taival — one of four (!) they released that year (according to Metal Archives). The band now have a new album — their ninth — named Tyhjyys that’s projected for release in April by Wolfspell Records and it includes cover art by Luciana Nedelea. So far, they’ve put two tracks from Tyhjyys on YouTube — “Iankaikkinen” and “Yönpalvoja”. “In recent years, I have missed good, creepy releases. Countless new attempts have drowned in benign post-black advances, lousy sound, or other amateurish pitfalls. It is good to hear a band who put mental suffering in the driver’s seat once again. These two Finns present four songs, all between ten and fifteen minutes long, and the album clocks in at 51 minutes. Ikuinen Taival exhibits symptoms of a nasty musical depression, with repetitive, monotonous, and soaring guitars without abrupt transitions, as if not to startle the listeners out of their hypnotic, euphoric trance. Variation and melodies come creeping in as we silently shut down all mental and bodily functions and go into temporary hibernation. Both of these new tracks have the same qualities that Gorger was writing about. I’ve found them to be spellbinding — very bleak but very beautiful. The vocals bring to mind coils of barbed wire and gusting downpours of caustic lye. You won’t get comfortable listening to this music, but it’s nevertheless mesmerizing. To conclude this rather large round-up I’m turning to yet another band I knew nothing about until a few days ago. 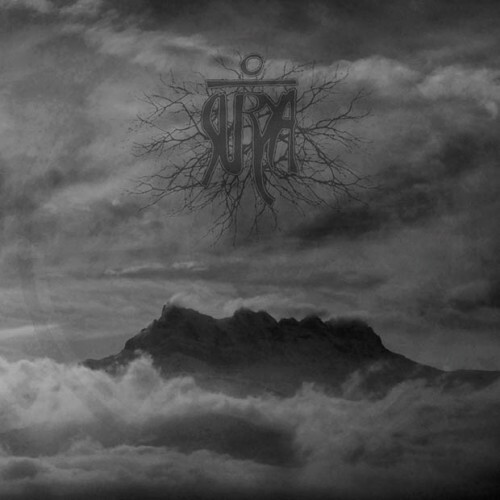 They’re a London-based “experimental doom” group named Sūrya and their new album Apocalypse A.D. will be released on May 27 by Argonauta Records. The first single from the album, “Resurrection of Care”, was released on March 23 as a “name your price” download on Bandcamp with separate artwork, and it’s also the subject of a video in which the music (which has no vocals) is set to excerpts from a variety of imaginatively selected film clips. I’ve included both streams below. The minimalist, repetitive quality of this slow song’s opening minutes is hypnotic, and its melody is downcast and forlorn. But things eventually get much heavier — as in pavement-cracking heavy — and the narcotic guitar arpeggios prove to be seductive. The video amplifies the music’s disturbing qualities. Apocalypse A.D. can be pre-ordered here. What a great way to start the weekend! Loved all the tracks, and Crystalmoors and Surya really hit the spot. Thank you! Awesome — very glad these selections got your weekend off to a good start. That sorcery track was killer. Stoked for new Be’lakor, and the new Gevurah is sounding like a harrowing ride. Kalmankantaja is a nice find for me to delve into as well. Goddamn that Sorcery song! 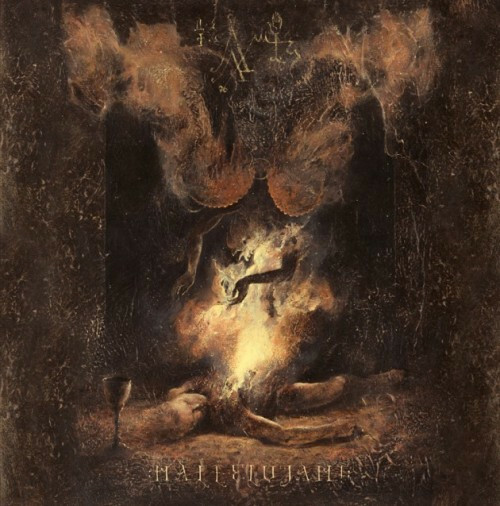 Kalmankantaja is a great find (I did miss the earlier mention of the band after all. Pathetic me) . Nice! Sorcery does indeed seem to be hitting the right spot for people, as do the new Kalmankantaja songs. Holy Ground, of Sorcery’s new album, sounds even better than how I remember Arrival At Six. I’m stoked about new music from Be’lakor too. Glad to see Napalm Records picking up the Aussies. Deceptionist sounds… Well, there’s no way I can outdo your and DRG’s poetic descriptions. What do you mean not comfortable listening to Kalmankantaja. Is there anything more pleasant than listening to other peoples despair and misery? You might be well versed in many aspects, but you’d make for a lousy sadist, Islander.